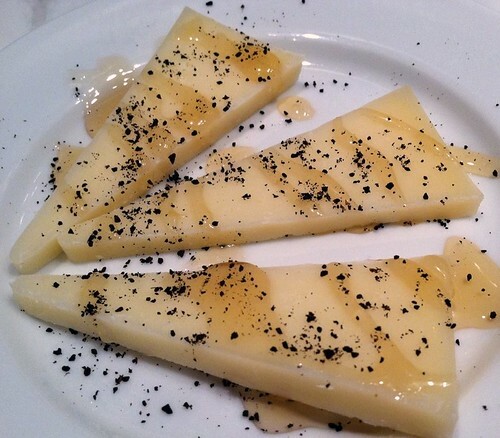 Left over Manchego cheese? This is what do to with it. This is what we should have made for the international dinner. Forget that quince paste (although it was quite tasty.) If we were to have a re-do this would be added to the tapas collection. 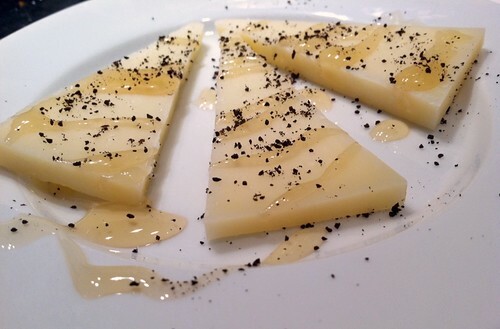 Over triangles of Manchego cheese, drizzle honey and then sprinkle with coffee. It will change your life. Lori, if you are reading this - you must know that this combination was made for you. Try it. It is time to move on from the Trader Joe's Honey Chevre. 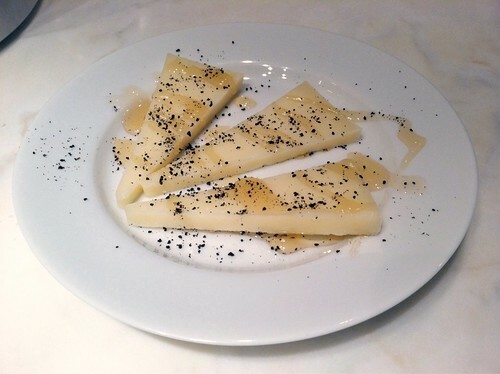 My gosh, 3 things that I LOVE: manchego, honey and coffee. Quince paste is up there for me, too. oh wow, i need to try that!! !